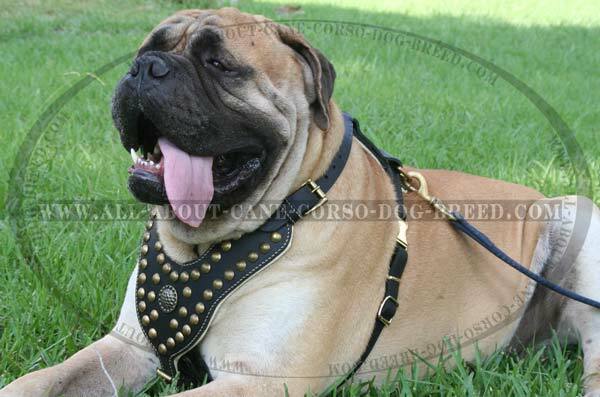 Bullmastiff is a powerfully built strong, bony, symmetrical dog. Despite wide and deep body of Bullmastiff his habit is still compact. 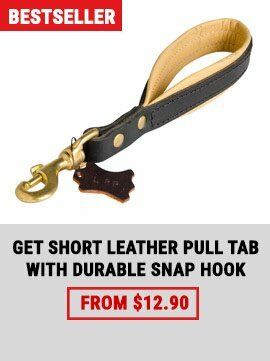 Again, Bullmastiff has neatly square appearance.. This is an equal and even-minded dog, unwilling to be indefinitely aggressive. Unlimited devotion of this representative of Molosser dog group is much talked about. Bullmastiffs are neutral regarding even family friends or just acquaintances nevertheless they are watchful of those whom they see for the first time..
First half of the 1 th century A.D. can be regarded as reference point in Bullmastiff's history. It was the time when the Romans founded settlements in Britain. Basically, these dogs had genetic core of Molosser-like dogs. Conduct of invasive wars in the period up to 4 century A.D. by the Romans, Picts and Scots from Nordic countries and Europe, German tribes and Saxons involved the distribution of these dogs in the territory of Britain. 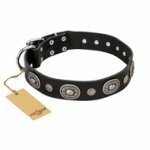 Each of the mentioned above ethnoses had its own dog breeds: ancient Roman dogs (Molosser ones), Celtic animal dogs, Britain and Bulldog-like dogs. Later, approximately in the 4 th century, Scottish dogs were mentioned in literature. They awoke fear in Romans by their terrible appearance and proportions. In the beginning of the 5 th century after the Roman withdrew the troops from Britain, the power was seized by local tribes, Angles, Saxons and Jutes who brought these powerful dogs together with them. This resulted in the exchange of gene pools of these dogs and those who descended from Roman Molosser dogs. 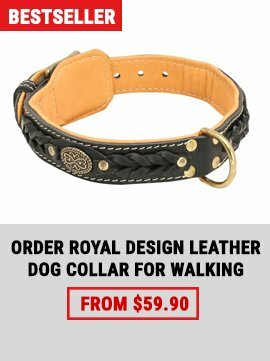 After downfall of Western Roman Empire Molosser dogs became popular, demand for them increased, as it was necessity for guardian dogs. Therefore Molosser dogs began to appear in the territory of Europe and other countries. 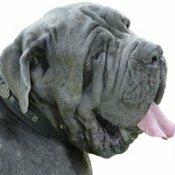 Most frequently Mastiffs were mentioned in the 16 th century in the days of Tudors and Stuarts. At that time Molosser dogs symbolized knighthood. It is possible to find the scenes where Mastiffs' fights are described; one of such descriptions belongs to Douglas Oliff: "A muzzled beast was enchained and tied to a post; hunting dogs were placed around a circle, but when a muzzle was removed from the bear's snout two dogs were sent out. The dogs usually fell upon the bear and caught hold of his throat. 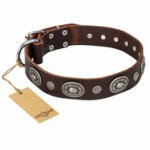 As a rule, protective collars were not put on the dogs, therefore the wounds to be inflicted by the bear were deathly, his claws entered too deep, the bear's hug was fatal". 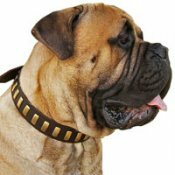 Bullmastiff dog breed was developed for many centuries and it was due to the needs of hunters who needed a dog in order to have their forestry protected. Preference was given only to strong, powerful dogs, which were also enduring, middleweight and medium-sized. 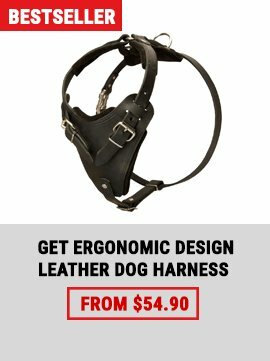 It was a great need for manageable dogs. These qualities were bred for centuries and constantly tested in practical work. 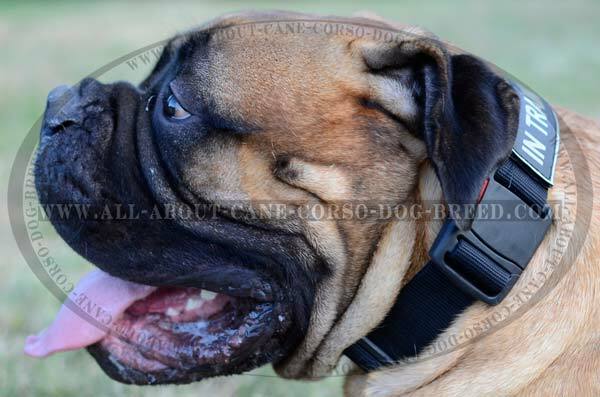 It is not veridical information as for the number of dog breeds participating in generation of present Bullmastiff. 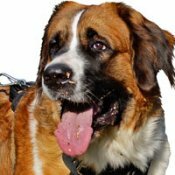 But there were participations of night dogs-guardians, bloodhound, Great Dane and Saint Bernard dog. These dogs were used in order that Bullmastiff could have necessary qualities such as endurance, promotion of functionality and working abilities in the landscape of Britain taking into consideration its severe climate. First Bullmastiffs were registered in 1785 in England. 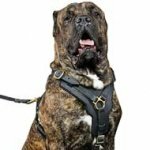 Initially they were known as "Mastiffs with traits of Bulldog", "large Bulldog", "small half-breed of Mastiff" but especially often – "night dog of forest guards". 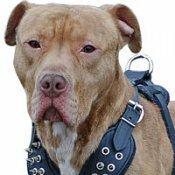 First representatives of this dog breed were over aggressive, wicked and incredibly stubborn. It was not recommended to make fun of them. Only a man with strong character and big physical power was able to manage such a dog. First these dogs bred by methods of trivial selection and used by hunters were exhibited in London Crystal Palace in 1876. But anyway this dog breed was not approved by experts. Probably, the reason for this rejection was the absence of common distinctive breed characteristics in a represented group of dogs. In the end of the 19 th and the beginning of the 20 th centuries English dog breeders faced the problem of breeding the breed that could combine guard and fighting features of Mastiff and Bulldog concordantly. At that it was necessary to get an agile and smart dog but Mastiff was not this very dog. These powerful dogs moved neither easily nor gracefully. In 1924 English Kennel Club (EKC) officially recognized the Bullmastiff. In 1925, June 23 Club of Bullmastiffs of Central counties of England became a member of this organization. In 1925 official EKC standard of this dog breed was the standard offered by this club. In January 1926 another organization was registered in EKC – "National club of Bullmastiffs police dogs". C. E. Moseley from Burslem ran this club. This person had played an important role in dog world. Moseley is also distinguished because he made a major contribution to formation of Bullmastiff namely as a dog breed at their plant stage of the breed's development. The result of Moseley's method formed the basis of this dog breed's formation. Now this method is quoted as successful solution of problems English dog breeders of that time met with. Moseley himself described it like this: "Mating Mastiffs-females with Bulldogs I got half-bred dogs. I mated females from these matings with Mastiffs-males that resulted in the females having 75 % Mastiff blood and 25% Bulldog blood. Then the last females were again mated with half-bred 50/50 males. 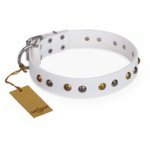 Females from such litter had 62.5 % of Mastiff blood and 37.5 % of Bulldog blood that in turn approached to my ideal – 60% Mastiff and 40% Bulldog. I also used this scheme for other lines and as a result I got my – Farkfort – progenitor of the line ". As for his exterior and behavioral characteristics Farkfort Fidelity of Mister Moseley perfectly suited not only his owner but also many dog breeders starting from August 1925, when he was exhibited at the first show in Begnell and was the first to enter EKC studbook on Bullmastiff breed. Just in this way history of contemporary Bullmastiff started. In the period between the World Wars, contribution in the Bullmastiff's formation was made by founder of Kennel "Bullmas" – Sybil Leek, owners of Kennel "Stanfell Road" - married couple Higginson and agent of the Kennel " Le Tassill" – mistress D. J. Nash. 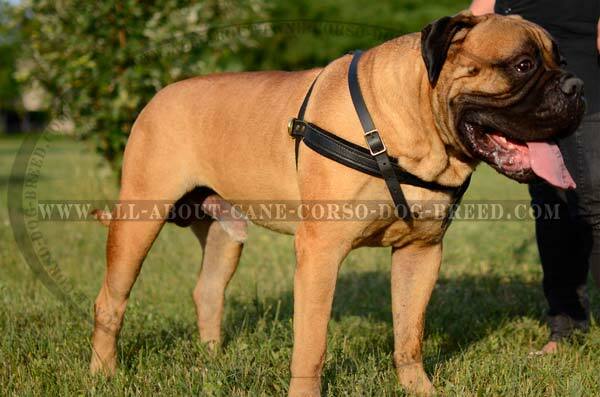 In due season Bullmastiff created the real furore in England. But none the less before 50 s populations differed in different countries. Today the breed is too popular in America, Europe, Asian countries and it is very popular with lovers of reliable listening dogs. Bullmastiffs are used as patrol dogs in Kenya (protection of villas and holdings), diamond mines in Kimberley (Republic of South Africa), counterterrorism divisions of USA, anti- mafia-style organizations of Columbia and so on. In the earliest days of the breed's development, individuals of Bullmastiffs were too aggressive and hard to manage. For centuries nature of Bullmastiff changed and bettered. They became more sedate and more manageable. At first only hunters had them, but today these dogs are socially adapted and even can live with the person who hasn't comprehensive knowledge of cynology. Bullmastiffs are easy trainable dogs though often it happens they are successful learners not at the first attempt. These representatives of Molosser dogs are rather thoughtful, than impetuous and they will execute a command after careful consideration. Bullmastiffs are very friendly and endurant of children's monkey tricks and even rudeness. 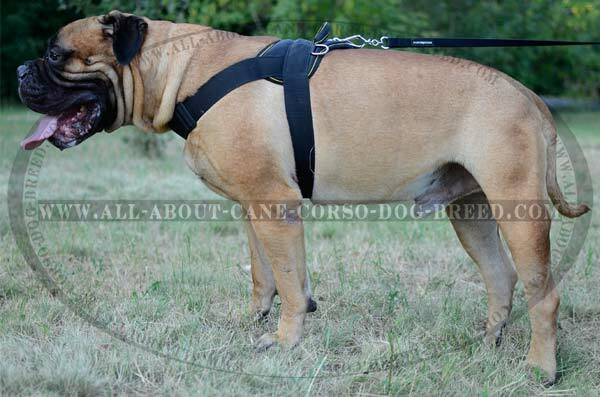 Like many Molosser dogs Bullmastiff is attached to its owners and will always rush to their aid if necessary. In spite of whole their thoughtfulness, Bullmastiffs are too quick in the face of danger and handily attack ill-wishers. The reason for that is blood of Bulldog though they are much well-balanced in usual situations. Bullmastiffs do not snarl and seldom bark; they are not absolutely undemanding of housing conditions. They feel comfortable in both aviary and flat as they unlike many Mastiffs do not leave their saliva everywhere. Bullmastiffs get along with other animals – no matter if they are cats or dogs. Also, Bullmastiffs are quite playful canines. Bullmastiffs have great power of intuition and can understand their owners even without words.